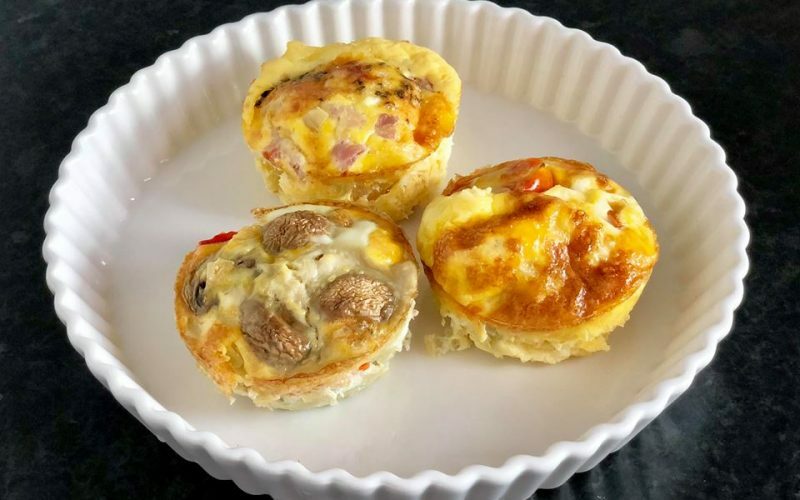 These egg muffins are very easy to make, they are low carb, gluten-free and suitable for Keto dieters. They are also the perfect grab and go breakfast. Pre-heat oven to 180°C, spray your muffin tin with cooking spray, divide the three topping combinations into 4 muffins cups each and bake in the oven around 20 minutes. Original recipe idea from Cafe Delites.